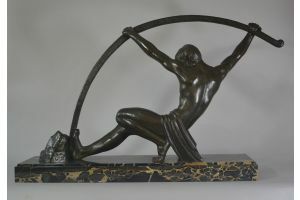 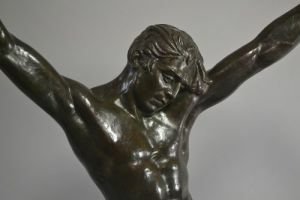 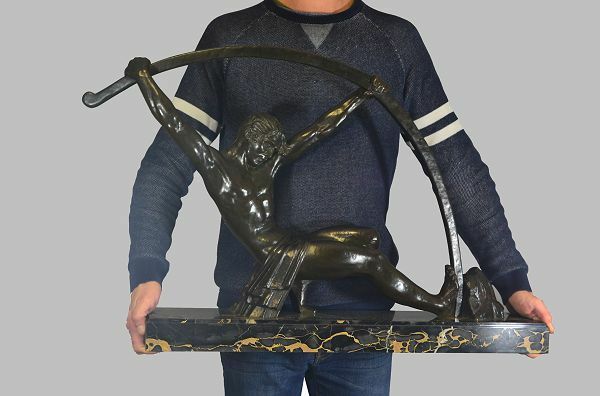 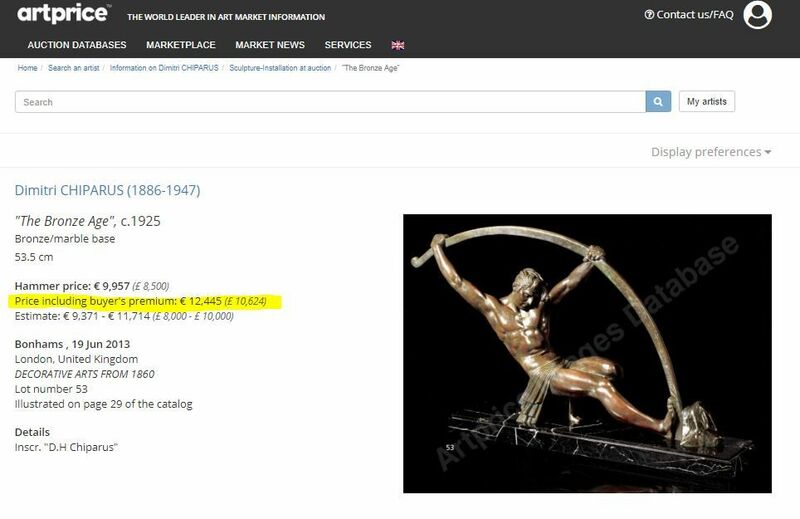 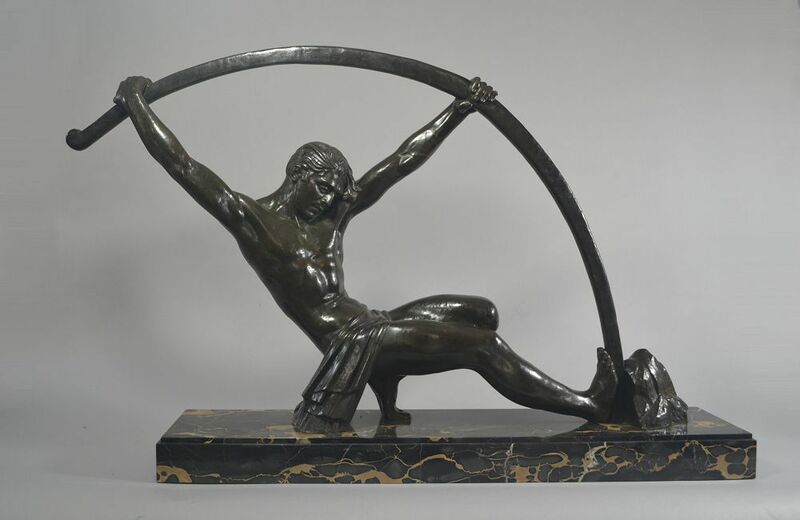 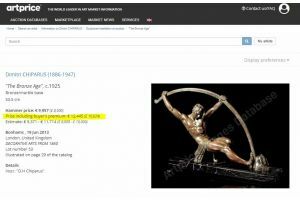 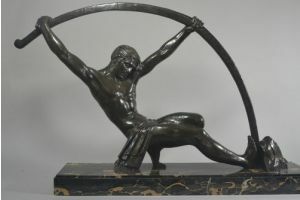 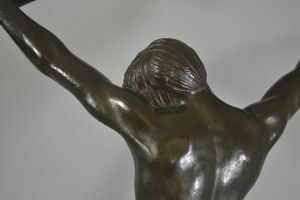 EXTREMELY rare bronze version of this sculpture that is usually made of spelter. First time in the last 20 years I can get it. 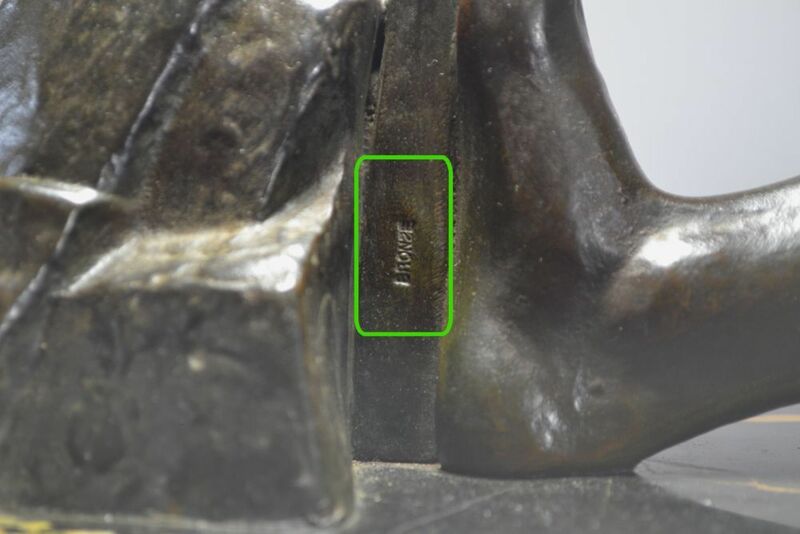 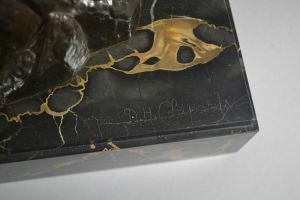 Signed with normal signature and inscribed "bonze" in metal.